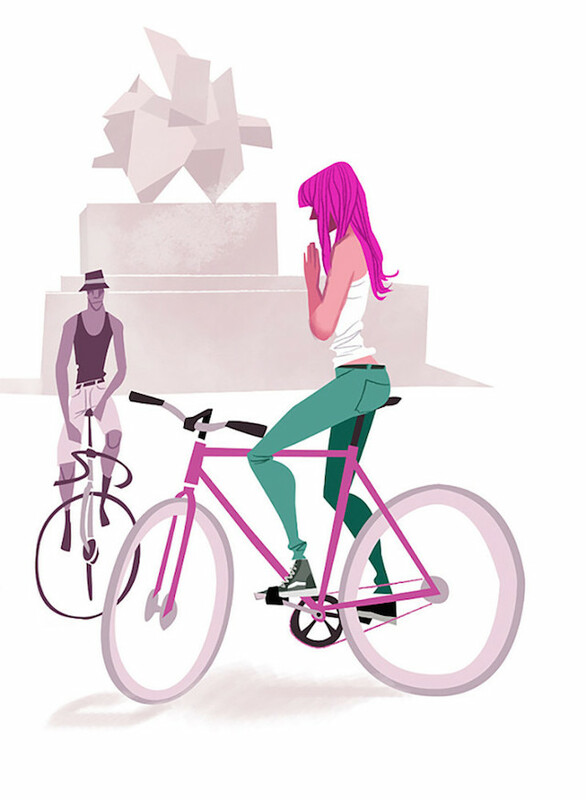 German artist, Thorsten Hasenkamm, has created this striking series of illustrations which represent the different types of urban cyclists who make up fixed gear landscape. Hasenkamm is an illustrator/painter, who is influenced by all facets of pop culture such as lucha, tiki, 60s-mod and blaxploitation. One glance at his paintings, gives clue to his solid sense of design and color, as well as an almost cartoon-like influence. Dig!